Athletes come to us wanting to become better performers; parents come to us wanting their kids to be safer. For both desires, dedicated mobility work needs to be addressed. In our warm-ups and throughout our workouts we always have mobility drills to treat what I call the big three: upper back, hips, and ankles. Here’s why each area needs to be addressed. When movement in the upper back is restricted posture will deteriorate, and the neck and the low back will compensate, when I have athletes who come in saying they have low back pain, the upper back becomes one of the first areas I observe. Regarding performance, athletes need mobility in their upper back to allow for better arm movement during activities, such as sprinting and agility. For baseball players, or any athlete in which they need their arm to go overhead, a mobile upper back will help extend the longevity of their career by reducing the risk of elbow and shoulder injuries. For baseball players, or any athlete in which they need their arm to go overhead, a mobile upper back will help extend the longevity of their career by reducing the risk of elbow and shoulder injuries. Mobile hips moving well are an absolute must for any athlete. Regarding speed training, lack of hip, mobility predisposes athletes to a higher risk of low back and knee injuries because these two areas often have to move more than is necessary to compensate for when the hip is tight. Along with this increased risk of injury, comes a decreased potential for performance as a lack of hip mobility will slow the athlete down when cutting or changing direction. The inhibition of these maneuvers can largely be attributed to lack of hip movement inhibiting the athlete from efficiently getting into the right positions to perform. Mobile hips moving well are an absolute must for any athlete. Ankle mobility, similar to hip mobility, creates excess compensation in the knees. Also, tight ankles will increase the risk of ankle injuries. Further, ankle function and health are vital when it comes to the first step and acceleration. 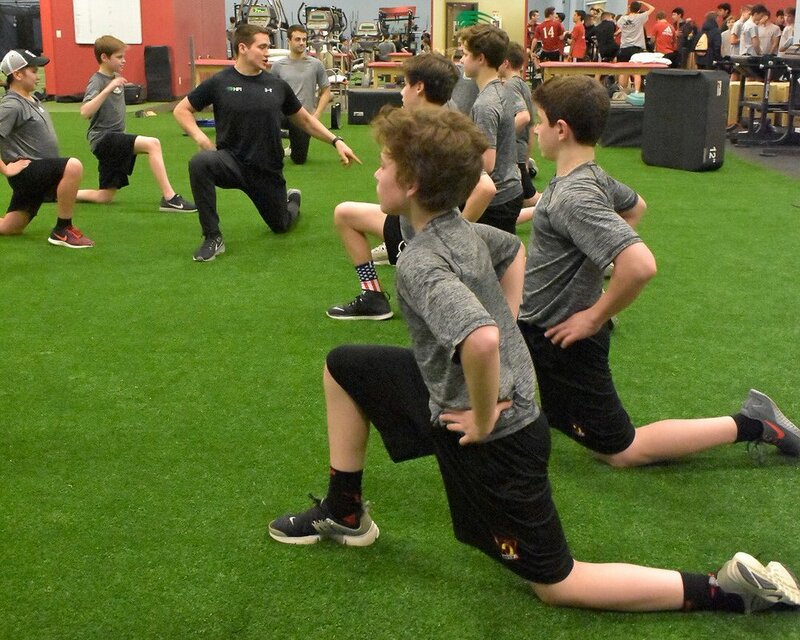 Similar to the hips, tight ankles will inhibit athletes from getting into the right positions to perform and build speed efficiently, forcing the athletes to waste movement, and as a result, slowing them down. Similar to the hips, tight ankles will inhibit athletes from getting into the right positions to perform and build speed efficiently, forcing the athletes to waste movement, and as a result, slowing them down. In future posts, we will discuss specific exercises for each, but we hope this helps paint a clearer picture as to why we stress the importance of mobility for our athletes. From a safety component, proper mobility cannot be understated, and from a performance component, athletes who do not move well are lowering their ceiling for their performance potential.